The free gift has not been added to my basket. What should I do? My promotion code isn't working! I forgot to add my free gift! What should I do? I forgot to add my discount code! What should I do? How do I add specific samples to my order? Why am I no longer receiving your newsletter? Why am I receiving your newsletters twice? If you're receiving the same newsletter twice, one directly after the other, this usually means that you're signed up to our newsletter for two different regions e.g UK & USA. The best way to identify which region you're on is to select any of the links within the newsletter and it will take you to the correct webpage for that region. 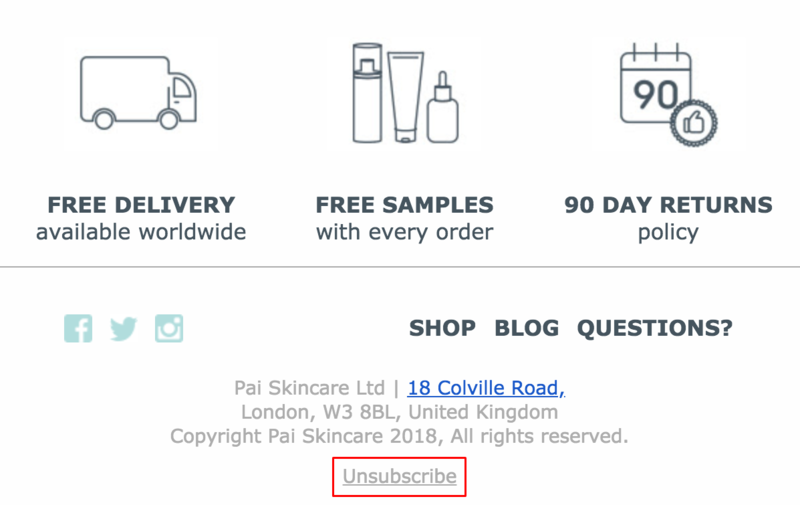 Then click back onto the newsletter for the region which you no longer want to receive, scroll down to the bottom and select 'unsubscribe'. If you're still continuing to receive our newsletter twice, please email our Customer Experience Team and they will be able to look into this further for you. You can also get hold of our Customer Experience Team via Live Chat on our website or by giving us a call. You can find the correct phone number for your region here. Are your gift cards a physical card? Help, I've been charged incorrectly! Can I apply my gift card and discount code to the same order? How can I sign up to your newsletter?